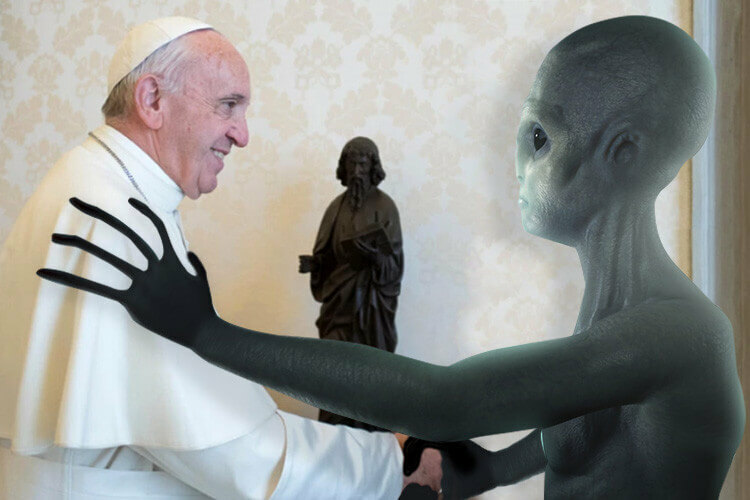 THE Pope has knowledge of aliens out there who want to help humanity but a “War in Space is heating up”, a former NASA astronaut has allegedly claimed. An email apparently released by WikiLeaks has revealed ex-spaceman Edgar Mitchell wrote to American politician John Podesta, to tell him the Vatican knows extraterrestrials exist and want to share “zero point energy” with us. The friendly aliens want to help mankind lead better lives but are afraid of our violent tendencies, an email is said to claim. Mitchell, the sixth man to walk on the Moon, also told Podesta a space war is imminent and said: “Because the War in Space race is heating up, I felt you should be aware of several factors as you and I schedule our Skype talk”. The former NASA astronaut is also said to have revealed how “benevolent aliens” wish to share “zero point energy” with people on Earth. The technology would apparently open up of the possibility of extracting free energy from “empty space”. However, Mitchell says that aliens are somewhat hesitant to engage with us and will “not tolerate any form of military violence on the planet or in space”. His first email to Podesta, which makes no mention of the Vatican, can be read in full on the Wikileaks website. US politician Podesta was an adviser to President Barack Obama before becoming head of Hillary Clinton’s presidential campaign. A possible meet-up between Podesta and and Mansfield is also allegedly mentioned to give them the chance to “catch up on knowledge the Vatican has about extraterrestrial intelligence”. Podesta has advocated the release of data in relation to Area 51 in the past, and recently declared he persuaded Hillary Clinton to disclose secret papers about UFOs. In the past the Vatican has allegedly stated there is no boundary between science and religion.